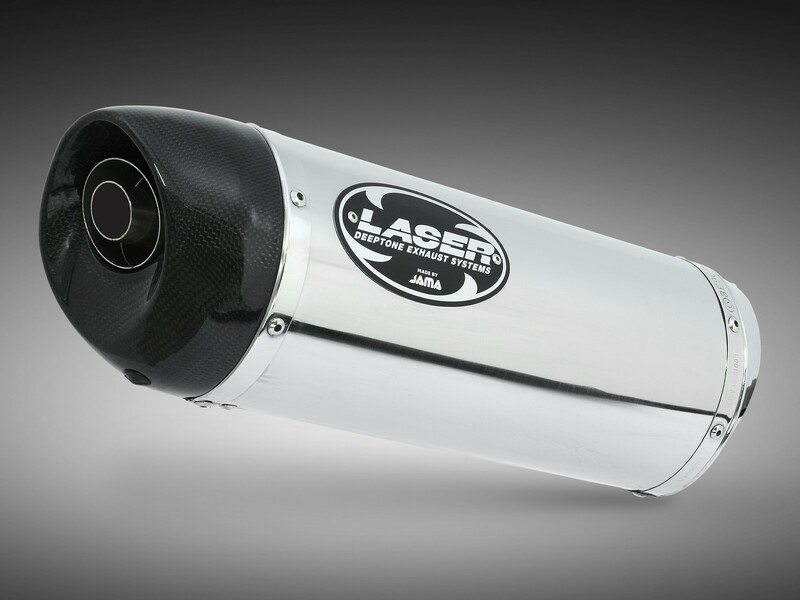 Laser 4-pro offers Full systems with: Stainless steel down pipe unit and stainless steel muffler with Carbon fiber end cap. 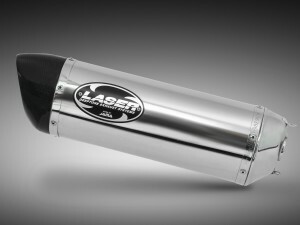 We use our famous and proven Dual sound technology for this new Maxi-scoot muffler. The 4 Pro is made of the highest quality stainless steel with a smooth polished finish and special shaped Carbon fiber end cap. Dual sound technology provides the opportunity to choose between homologated sound or the typical Laser sporty sound.